Vegetables and Nutrition is one of the tough topic when it comes to convincing the kids eating balanced food. I must say Flinto put all the activities very very well that are required to explain the importance of vegetables and their nutritional values and also importance of having them. 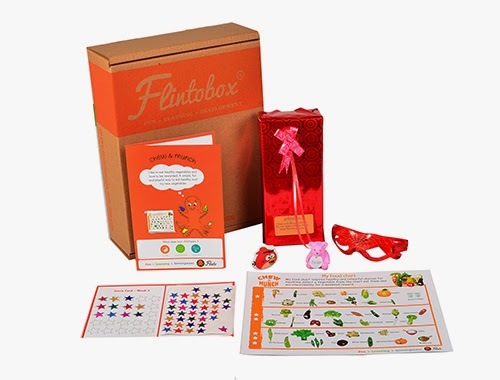 Sneak-peak of the "I Love My Vegetables" Theme Box contents from Flinto is here. 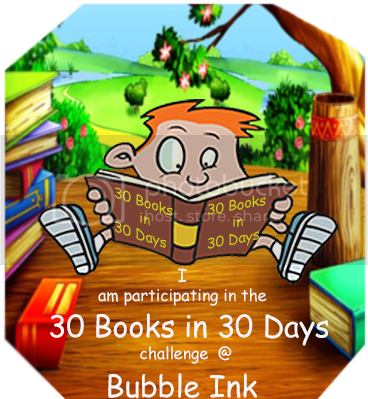 Activity #1 - Story Book - Where are my Carrots? 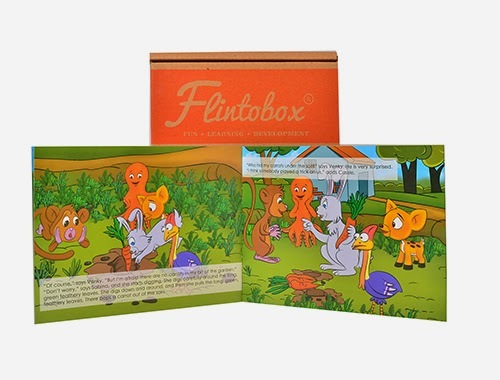 A story about four friends, Flinto (Octopus), Venky (Monkey), Dolo (Deer), Cassie (Cassowary), all set to grow their own vegetables first time for healthy eating. Flinto gets Spinach seeds as it makes one strong, Venky gets Carrot Seeds as he loves crunchiness of carrots, Dolo gets seeds of Peas as they're so tasty and Cassie gets green beans seeds to make delicious salad with beans. They planted their seeds in the soil and water it daily. Soon their plants have grown. They tasted Cassie's beans, Dolo's peas, and Flinto's Spinach. But when they look at the place where Venky planted carrot seeds, there are long, green leaves but no carrots. All four requests help from Sabina, the rabbit, to find out the missing carrots. Sabina helped them finding carrots by digging the soil. Soon all of them learnt that root vegetables like carrots, potatoes, beetroot will grow under the soil. You have to dig them out. This 12 page book is well written and illustrated with beautiful pictures of all the animals and vegetables. Medha guessed that Flinto would find the missing carrots as he did in the previous books like Where are My Eggs? in Number theme box. She giggled out when she saw Sabina finding the carrots. 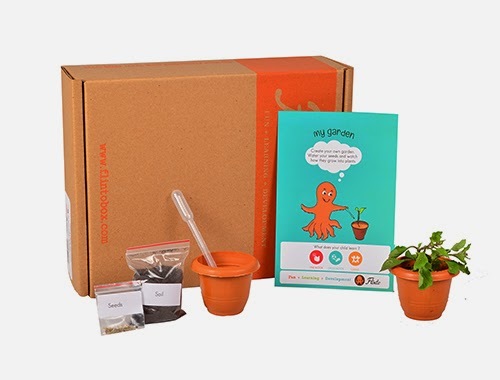 This is beautiful activity for kids to grow their own window plant using the soil, seeds, and pot. Medha already knows about planting, watering the plants etc. as I am huge lover of gardening. But this one was done by her completely with no help from me. 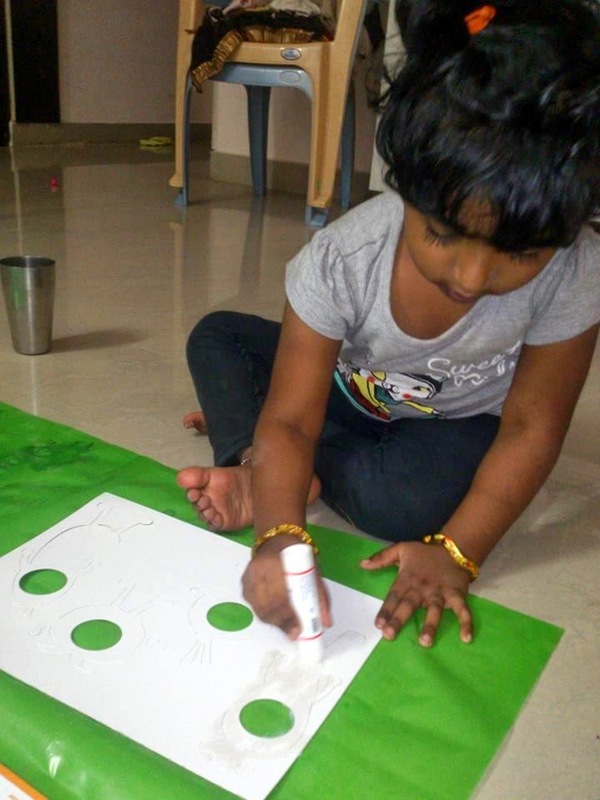 This is a Do it Yourself activity which is designed based on the concept of Sand Art. 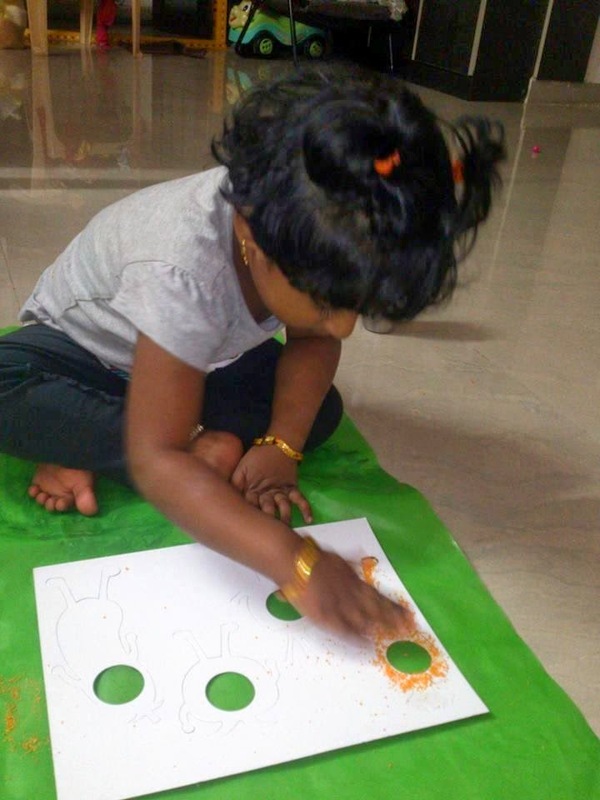 At home, we already did so many sand art activities right from she was 1 year old. She loves that craft. 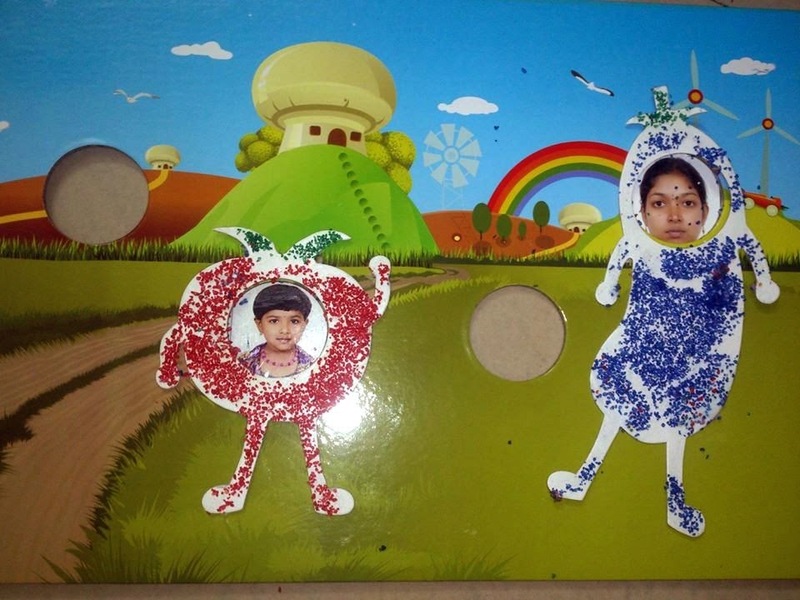 Of course this activity is not only sand art, it also includes creating artistic photo frame by sticking photos in the board given. 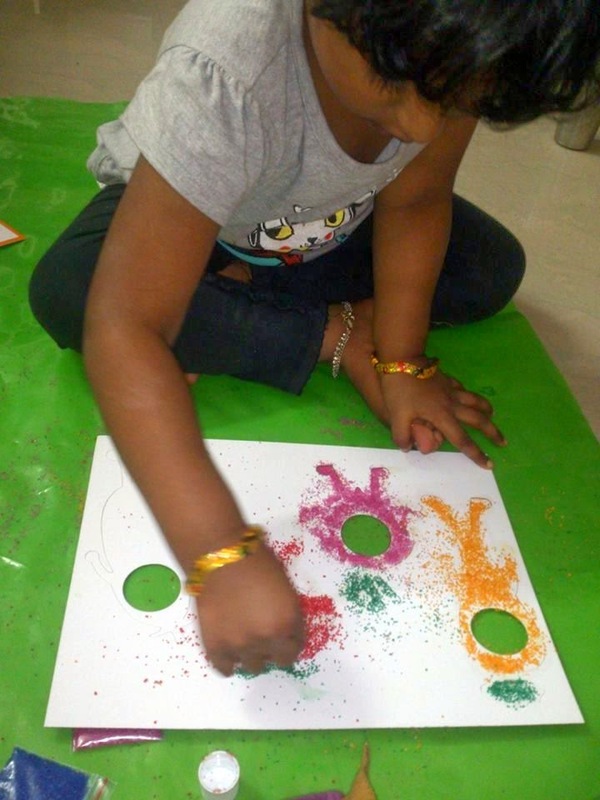 As Medha already knows Sand Art, without much explanation and help she completed the sprinkling the colored sand given on to the vegetable cutouts. And then we searched for our passport photos and found mine and hers. She glued the photos the Board given and also glued vegetable cutouts too. She didn't glued other two vegetable cutouts as she hadn't found her father's photo at home. 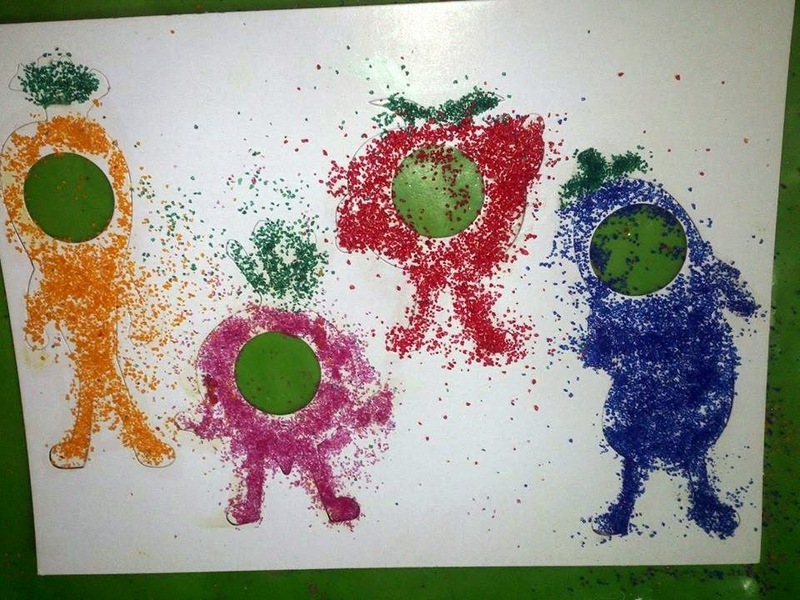 This is one of the best activity to make our fussy kids to eat all the vegetables for sure in a fun way. Kids get rewards for eating a balanced nutritious vegetables. 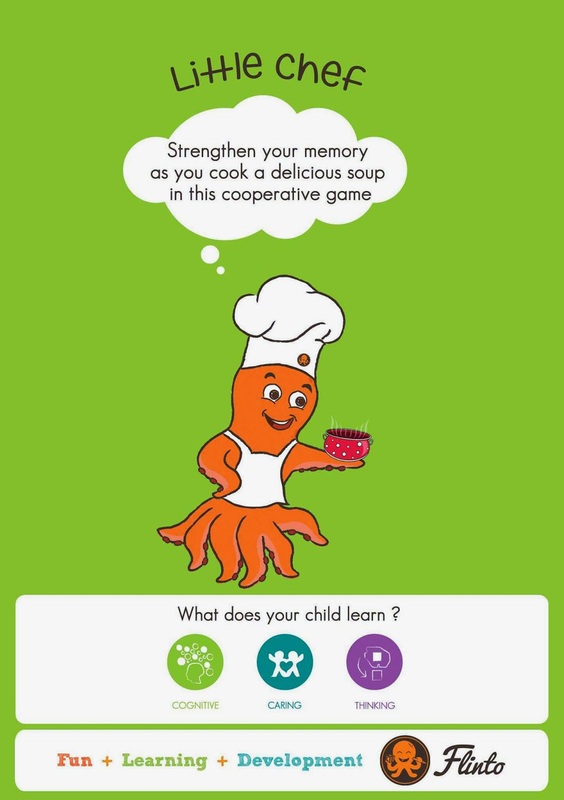 They gamified healthy eating, and kids will chose healthy good for themselves to get more rewards. Given food chart categorizes as "1-star, 2-star and 3-star" based on health value. 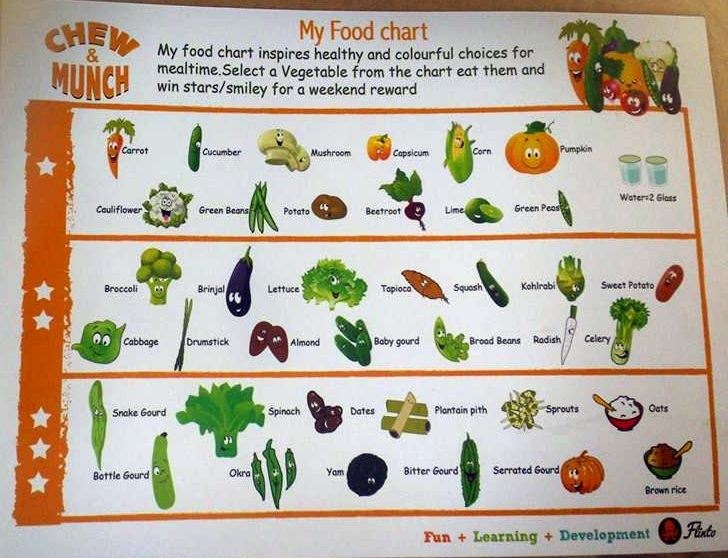 Kid's have to get 23 stars in a week by eating different vegetables. 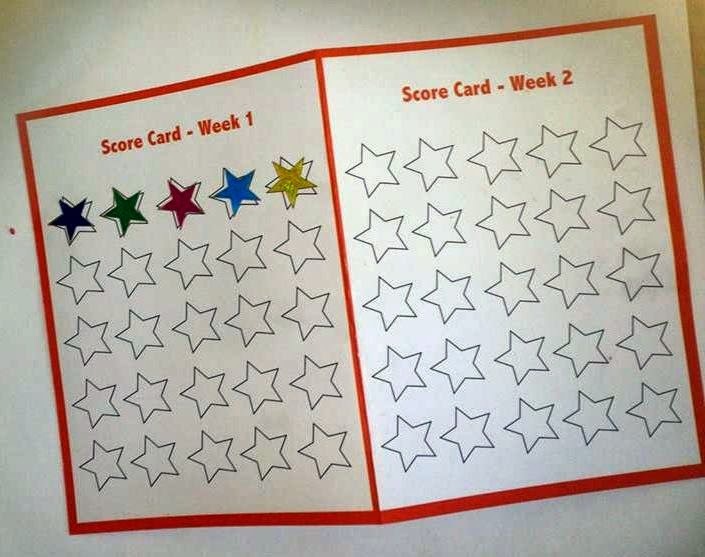 They will track their progress using score cards and stickers given. At the end of the week, they will be eligible for the gift from gift box if they achieve the goal. But this girl is too smart that she planned her rewards count by eating the vegetables she likes only like carrots, corn, oats, Okra (Ladies finger) etc. Hence I customized this to make her eating the vegetables which she doesn't eat i.e. Bitter Gourd, Capsicum, Snake Gourd, Brocolli etc. This is fun-filled board game, in which, kids work together to cook a soup by matching the ingredients cards. This we haven't played yet. 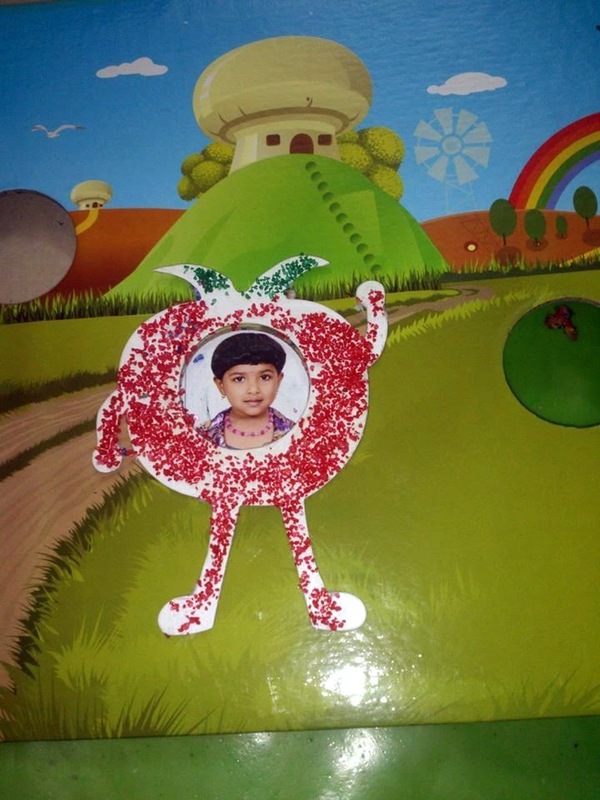 Overall, Medha enjoyed this month's box, it gave us lot of fun also Medha learnt new things about nutrition of vegetables. 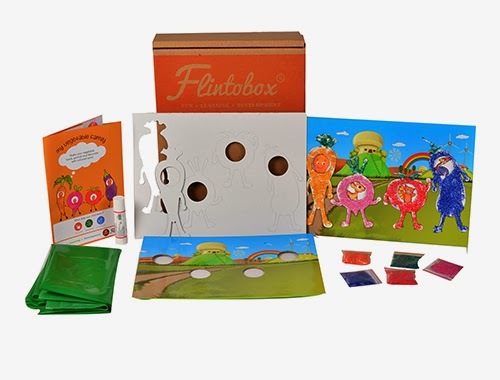 But only one thing I felt was I guess Flinto should replace Board Games as one of the activity in the boxes. I mean instead something else can be implemented. I observed that Medha felt like ENOUGH OF BOARD GAMES. After all, she is 3 years 29 days old, I am not sure about the elder kid's view on this. But definitely, the best part is this can be played over again and again. Not sure if there is any better activity than this to replace in upcoming boxes. 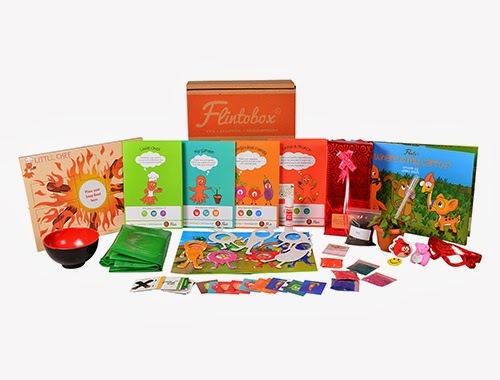 But friends, I will surely recommend this box if you want to teach your kids about the importance of vegetables, nutrition and healthy eating habits, go for it. MUST TRY THEME BOX FROM FLINTO.